Vogue Fitness offer home personal training to help you achieve a better you. Our proven methodology has consistently achieved results beyond our clients’ expectations. We offer the highest level of personal training in Abu Dhabi, tailored to your fitness needs with flexible and convenient scheduling, directly on your doorstep. We have been ranked the number 1 fitness provider in UAE because we deliver results every time. Vogue Fitness offer home personal training to help you achieve a better you. Our proven methodology has consistently achieved results beyond our clients expectations. 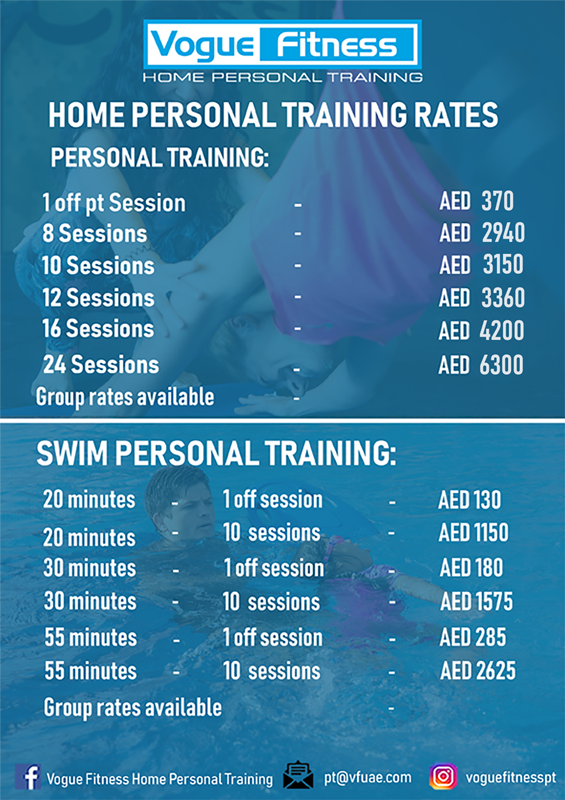 We offer the highest level of personal training in the UAE, tailored to your fitness needs with flexible and convenient scheduling, directly on your doorstep. We have been ranked the number 1 fitness provider in Abu Dhabi because we deliver results every time.